To keep me motivated and document my progress, I will create a series of blog posts with answers to some of the exercises from the book "Practical Reverse Engineering" by Dang, Gazet and Bachaalany. 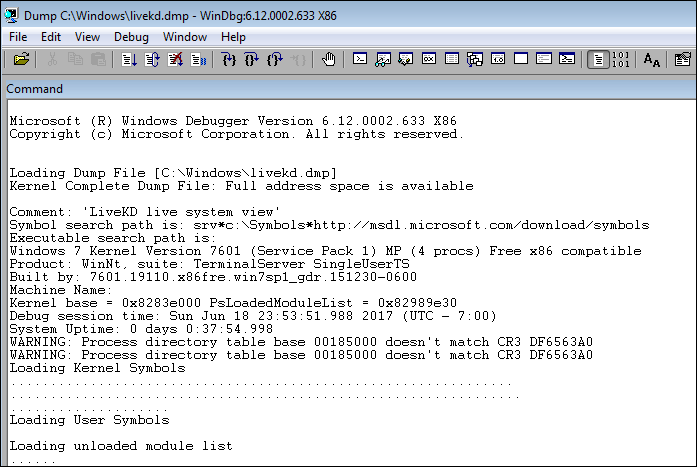 In the last post, we introduced the Windows Kernel Debugger (KD) and some of the functions. I have learned that rather than using KD directly, we can use WinDbg's interface which is more user-friendly. 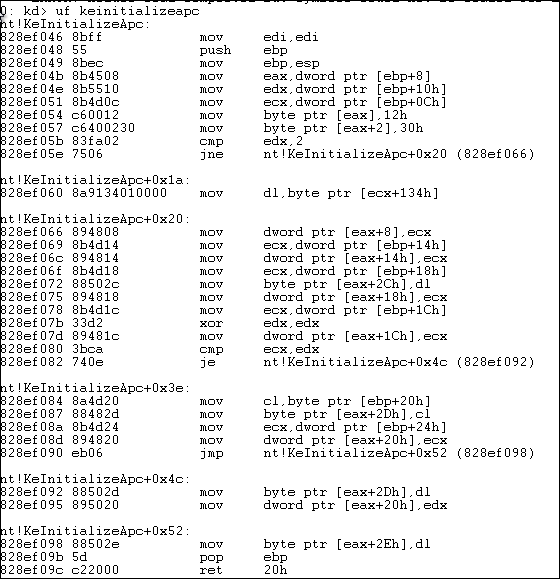 Let us now proceed with the task of decompiling the Windows Kernel routine KeInitializeApc. The first odditiy that caught my attention was the instruction mov edi, edi right at the beginning of the function. What is its purpose? this instruction is a common practice in Windows and acts as a two-byte NOP, which is inserted to allow for hot-patching. In a nutshell, it is used for dynamically replacing the mov edi, edi instruction with a JUMP instruction. Obviously, this can be improved. The first if-statement compares the environment value to the integer value 2. According to the _KAPC_ENVIRONMENT datatype, the corresponding value for the integer 2 is CurrentApcEnvironment (starting from 0). If you have found any mistakes in the decompilation, I would really appreciate your feedback. An asynchronous procedure call (APC) is a function that executes asynchronously in the context of a particular thread. When an APC is queued to a thread, the system issues a software interrupt. The next time the thread is scheduled, it will run the APC function. 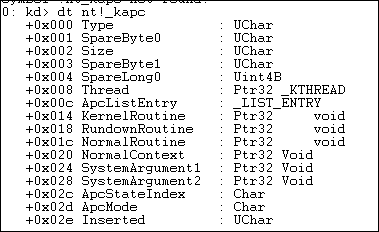 An APC generated by the system is called a kernel-mode APC. An APC generated by an application is called a user-mode APC. A thread must be in an alertable state to run a user-mode APC. Thus, our function generates a kernel-mode asynchronous procedure call (APC) based on the data submitted in the parameters.